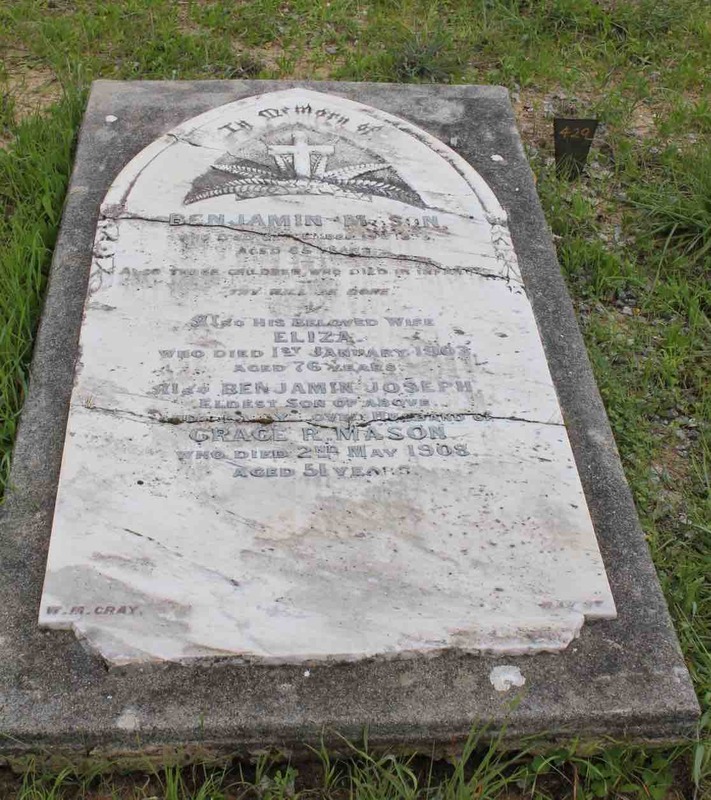 Did you know the National Trust conservation team is regularly approached by families and community groups keen to see a grave conserved at East Perth Cemeteries? 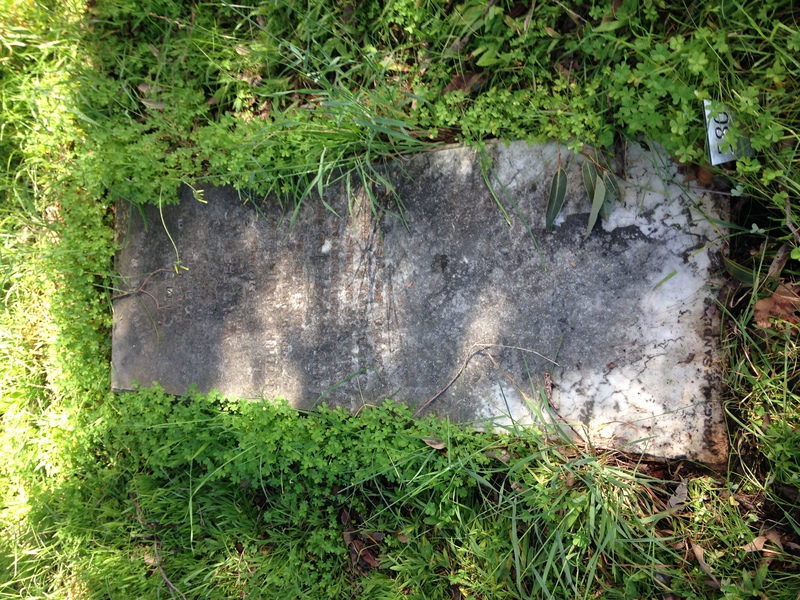 The Cemeteries, originally seven individual burial grounds, were operational from 1829 to 1899. 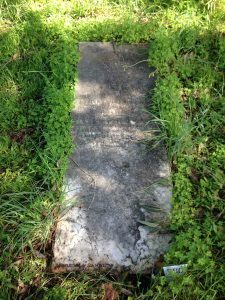 Over 10,000 people from all walks of life are buried here although fewer than 800 marked graves have survived. The National Trust manages all conservation works to the East Perth Cemeteries’ headstones. Firstly a detailed assessment is done to determine the conservation needs of the identified grave. 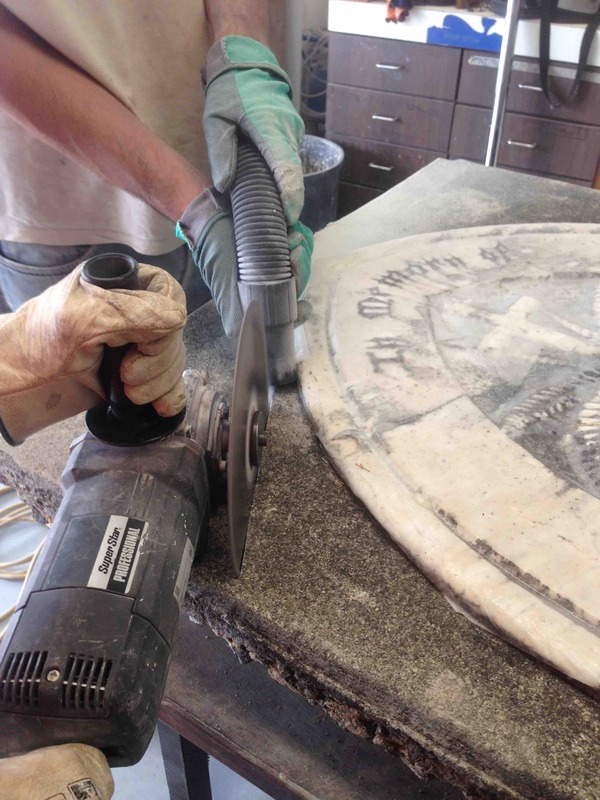 This is followed by the preparation of a detailed scope of works. 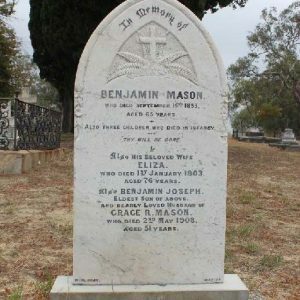 Quotes are then sourced and, if the family or group connected to the grave agrees to provide the funds, a conservator is engaged to undertake the works. 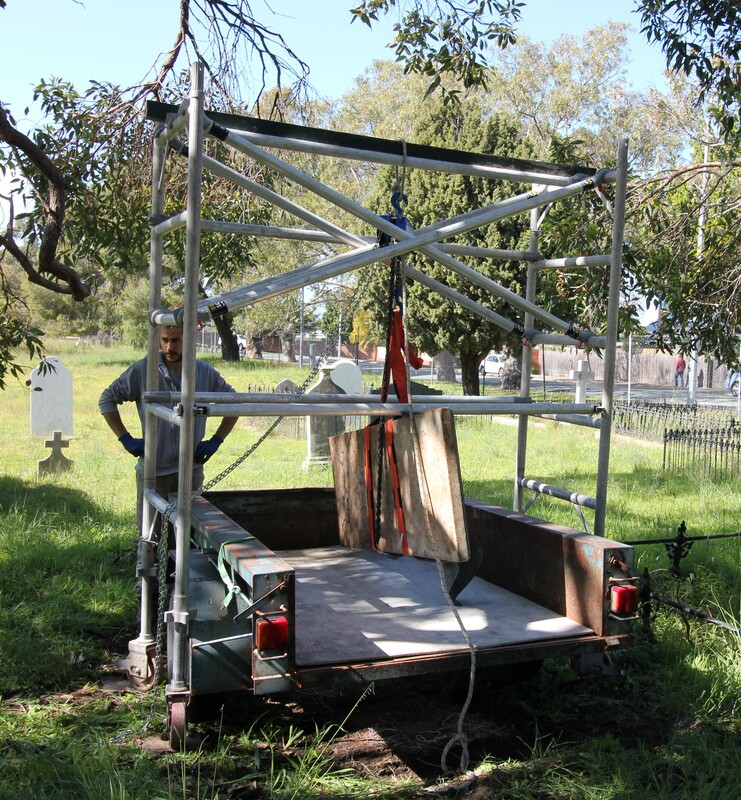 Project management, including supervision of the conservation works, is undertaken by the National Trust. 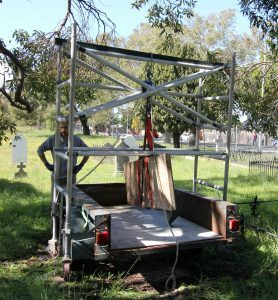 Donations for grave conservation are made to the East Perth Cemeteries Appeal which also accepts funds for general maintenance and upkeep of the 4.7 hectare site. Some great results have been documented to show the fantastic achievements from all involved. 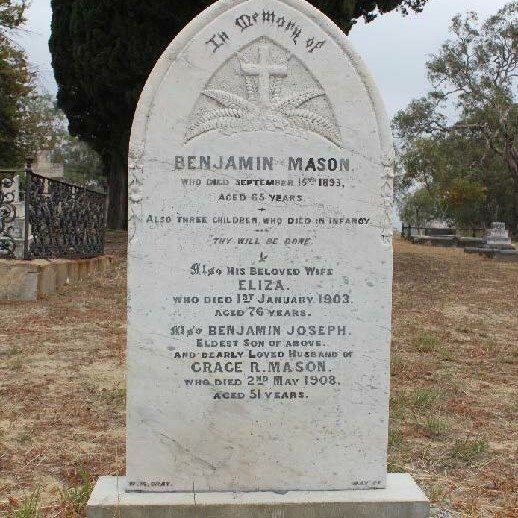 Benjamin Mason was the driving force in establishing the young Colony’s Jarrah timber export trade. 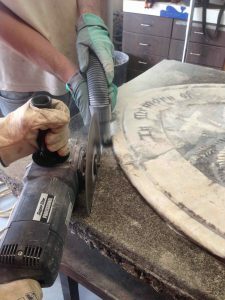 He developed his simple mill in the hills at Carmel from the era of the crosscut saw and bullock team into a thriving and valuable enterprise based on the modern steam-powered circular saw. 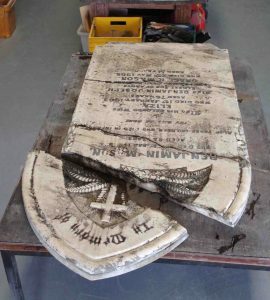 Concrete slab was removed, the marble headstone was cleaned and broken pieces repaired with fibreglass pins and epoxy resin, lead lettering conserved and headstone was reset in upright position as per original. James Coats Fleming, First Superintendent of Telegraphs of the Swan River Colony. 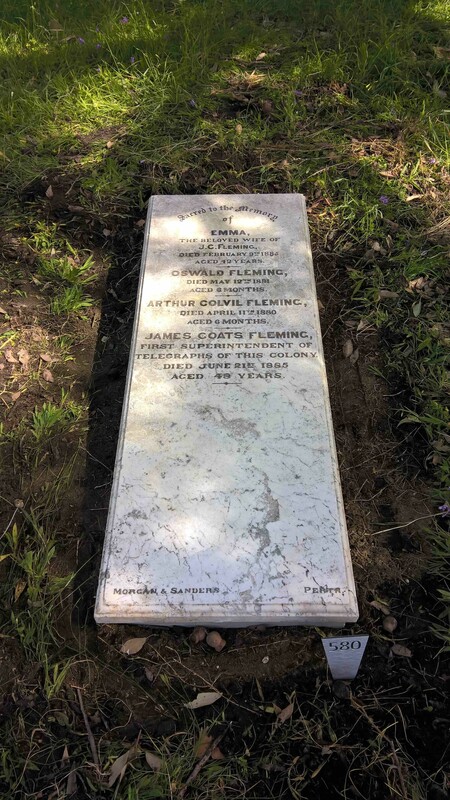 Fleming was responsible for the first Morse Telegraph link between the GPO Perth and Fremantle Port. 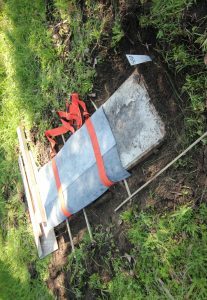 The headstone was cleaned to remove lichen formation and dirt, lead lettering was conserved and a new concrete slab was installed under the headstone to protect the marble sitting directly on the ground.